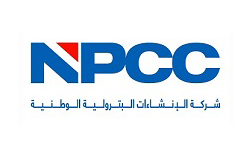 NPCC began, more than 40 years ago, from the vision of the Late President of the United Arab Emirates, His Highness Sheikh Zayed Al Nahyan and was established to serve the growing Oil & Gas sector of UAE and the region. We have grown with the Middle East's Oil & Gas industry, and have become an international EPC company with world-class expertise, as can be seen from the prestigious projects we have completed and clients we have worked with. 1. Senior Electrical Technicians (Permit to Work Holder): Diploma with 8-10 years experience. Able to read drawings, carry out trouble shooting of electrical systems, glanding, termination etc. 2. Senior Electrical Technicians (High Voltage): ITI with 10-12 years experience. Able to perfume high voltage works, HV cable jointing, termination, etc. 4. Senior Instrument Technicians / Instrument Technicians (Calibration): ITI with 5-12 years experience. Able to perform Hydraulic/Pneumatic tubing works and fabricate/install steel steel supports & cable trays. 5. Senior Instrument Technicians (FO): ITI with 10-12 years experience. Able to perform Fiber Optic cable works including FOC splicing, termination & testing.